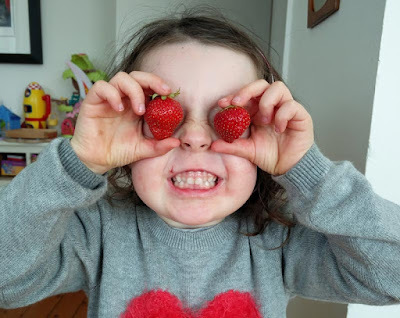 I've only got eyes for yummy strawberries! 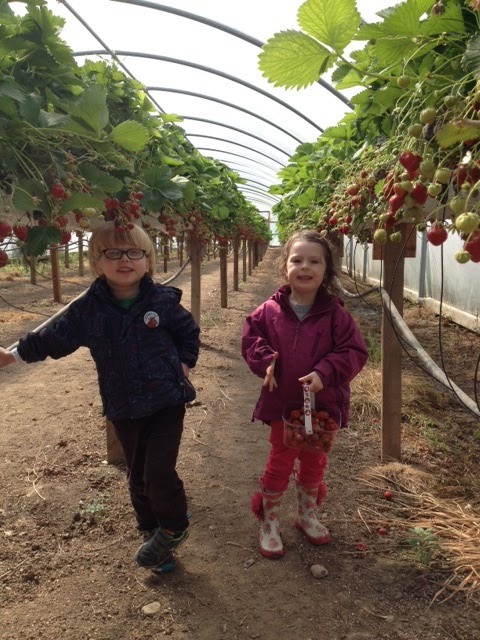 Euan and I had a great time strawberry picking! Strawberries are the only fruit to wear their seeds on the outside?! There are 200 seeds on an average strawberry! Strawberries are actually a member of the rose family! Strawberries are the first fruit to ripen. 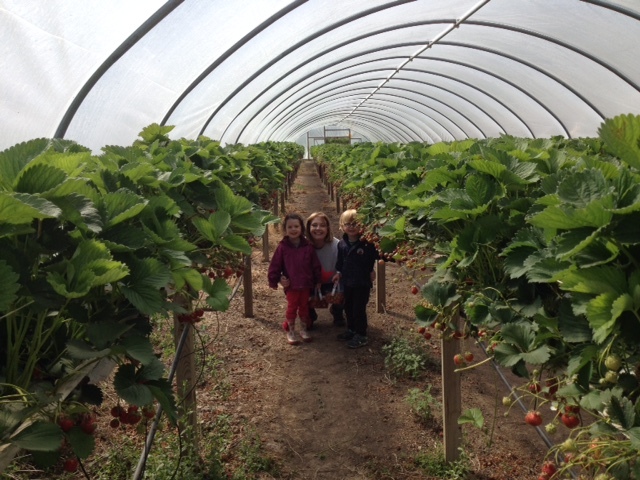 We had lots of punnets full of yummy strawberries to take home! And one last fact from my super clever mummy. If you are buying LOTS of strawberries like we did at Briarlands, which might take (even strawberry lovers like me and Tilda) a few days to eat, here's how to make them last longer. Mix 4 cups of water with 1/2 cup of any type of vinegar. Sit the strawberries in the mixture for 2-3 minutes, give them a swirl round then rinse off with some water. Leave them to air dry. Use the vinegar mixture to clean out your punnets so there are no spores left in there. 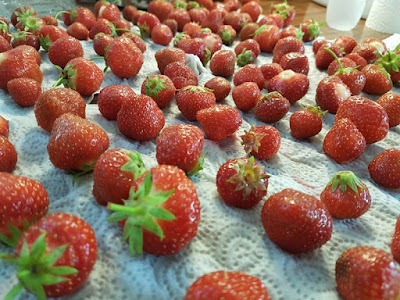 Your strawberries will last longer (if you don't eat them all first!) and don't worry, they definitely don't taste of vinegar. 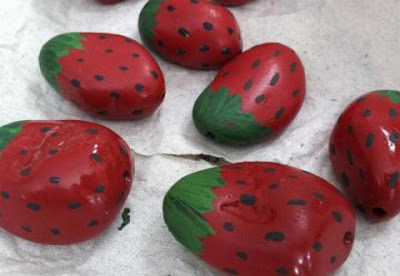 And one way to make your strawberries last forever is with this lovely craft project for the summer holidays. You just need some pebbles and some paint and you can make your very own strawberry patch! Be careful not to forget these are made from pebbles!